The Wihuri Foundation for International Prizes awarded the Wihuri Sibelius Prize of 150 000 euros to British composer Sir Harrison Birtwistle at the Finlandia Hall, in Helsinki October 9th 2015 . The purpose of the Wihuri Foundation for International Prizes is to promote and sustain the cultural and economic development of society by distributing international prizes, in particular the Wihuri Sibelius Prize. The Foundation follows these aims by distributing prizes in recognition of creative work that has specially furthered and developed the cultural and economic progress of mankind. The Foundation awards the Wihuri Sibelius Prize to prominent composers who have become internationally known and acknowledged. Jean Sibelius received the first Wihuri Sibelius Prize in 1953. 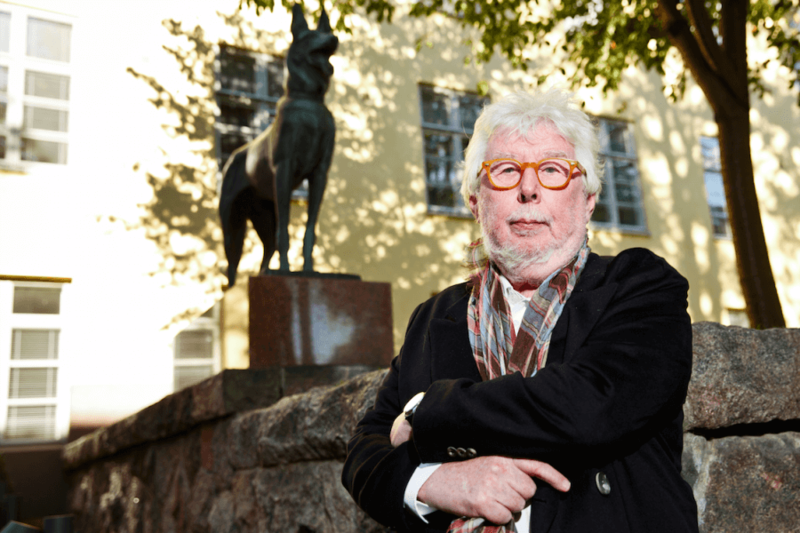 Sir Harrison Birtwistle will be the seventeenth recipient of the Wihuri Sibelius Prize. Sir Harrison Birtwistle was born in Accrington, United Kingdom in 1934. Birtwistle started his studies at the Royal Manchester College of Music and continued them later at Princeton University. At that time he sold his clarinets to devote his time to complete the opera Punch and Judy. This work, together with Verses for Ensembles and the Triumph of Time, established Birtwistle as a leading voice in British music. Birtwistle has received many honours and prizes such as the Grawemeyer Award and the Siemens Prize. He was Henry Purcell Professor of Music at King’s College, University of London and is currently Visiting Professor of Composition at the Royal Academy of Music in London. In the British classical music scene Birtwistle has presented a distinct and courageous style, which has strongly reflected to the international music field. He has established his position as one of the most significant composers of the 20th and 21st century.